The Punjab and Haryana High Court has debarred certain Punjab colleges from raising the fee for MBBS and other courses. “Primarily, education is service to society”, observed a Full Bench. “High fee …will force a student to adopt a commercial approach”. S/he will “aim at earning more rather than serving, which can be a bane to society”. AFTER a downpour of cricket for a month and a half has culminated in a grand World Cup victory, it is the turn of the state governments to get into a competitive mood to shower money on the heroes. If Delhi Chief Minister Sheila Dixit has offered Rs 2 crore for M.S. Dhoni and Rs 1 crore for four Delhi players in the winning squad – Virender Sehwag, Gautam Gambhi, Virat Kohli and Ashish Nehra – Punjab has announced Rs 1 crore each for Harbhajan Singh and Yuvraj Singh. In a world tilted towards the dictum of ‘no free lunches’, the RTE (Right of children to free and compulsory education) Act with its egalitarian provisions has completed one year of successful implementation. Successful because 15 states have notified it. To lead is to choose,” said Piere Mendes-France, one of the far-sighted statesmen France threw up after the second World War. It seems Prime Minister Manmohan Singh has made his choice: He has opted for making another attempt at seeking peace with Pakistan. Bernard Shaw did not live to see a 20-over cricket match. Even if he did, I am sure he wouldn’t like to change his uttering that baseball has the great advantage over cricket of being over sooner. He would also agree with Richie Benaud that a cricket ground is a flat piece of earth with some buildings around it. In 1997, one third of the priceless historic collections of the museum used by former Viceroys and Presidents of India (already termite ridden, damp and in a state of neglect) at the Rashtrapati Bhavan estate were looted. The museum was last opened in 1992, and was closed a week after for security concerns. By the time the law enforcement finally traced the culprit - a poor rag-picker who had scaled the walls of the Presidential estate, he had already sold off 116 of the 131 stolen items. The Punjab and Haryana High Court has debarred certain Punjab colleges from raising the fee for MBBS and other courses. “Primarily, education is service to society”, observed a Full Bench. “High fee …will force a student to adopt a commercial approach”. S/he will “aim at earning more rather than serving, which can be a bane to society”. These are laudable sentiments. Education must remain affordable and accessible to each child, ideally. But that is a gargantuan challenge. The population is growing fast, faster than the growth in educational facilities. People’s aspirations know no bounds. Rising middle class incomes are driving parents to spend more on education. A survey of the US Institute of International Education has revealed that Indian students spent Rs 12,500 crore on pursuing education in the US in 2008-09. Similar amounts are spent in other countries. India cannot afford the outgo of such vast sums of money. At the same time the youth demand, as a matter of right and rightly so, quality education. They are not satisfied with what most government educational institutions have to offer. Sensing the huge business potential in education, private institutions, including some from the West, are fast coming up. They won’t grow if governments and courts limit their fees. Students expect world-class infrastructure and teachers want fat salaries. Why shouldn’t those who can afford pay more for quality education? For others liberal scholarships and soft loans should be made available. The growth of private institutions will reduce pressure on government schools, colleges and universities. A strong regulator, however, is a must to check malpractices. True, a vast majority of Indians cannot pay the market-driven fees. Youth coming from families with modest means are being deprived of college and university education because there are just not enough good institutions. For limited seats and courses they cannot compete with their better-off counterparts from good schools. The government’s failure to pay the required attention to education has contributed to vast disparities in the country. To correct the imbalance, it has to spend more on education and upgrade standards to the levels required in the job market. AFTER a downpour of cricket for a month and a half has culminated in a grand World Cup victory, it is the turn of the state governments to get into a competitive mood to shower money on the heroes. If Delhi Chief Minister Sheila Dixit has offered Rs 2 crore for M.S. Dhoni and Rs 1 crore for four Delhi players in the winning squad – Virender Sehwag, Gautam Gambhi, Virat Kohli and Ashish Nehra – Punjab has announced Rs 1 crore each for Harbhajan Singh and Yuvraj Singh. Similarly, Maharashtra is to give away Rs 1 crore each to Sachin Tendulkar and Zaheer Khan. Other states too have opened their coffers for the golden boys. Mind you, all this is besides the offers of houses, plots, free first class travel and what not from other government and semi-government organisations. While no one grudges the men in blue their place in the sun and the riches that come with it, this liberal showering of the taxpayers’ money by the governments of the day is an exercise in self-aggrandisement. Mind you, the team has already won Rs 14 crore as ICC World Cup prize money and Rs 1 crore each from the BCCI for their sterling victory. Now think of the poor states which cannot be so lavish in their rewards for the sons of their soil. Since others have done it, they will also have to follow suit, or get branded as unsporting. So, the whole exercise becomes a fierce game of one-upmanship. What should be borne in mind is that they did not play like Haryanavis or Punjabis or Maharashtrians, but as Indians. It should also be remembered that there are other games too where the champions look askance at their respective governments for even a fraction of what the cricketers are getting. A better way to commemorate the great victory would be to provide superior facilities to the youngsters so that they can turn into Dhonis, Sachins and Yuvrajs of tomorrow. In a world tilted towards the dictum of ‘no free lunches’, the RTE (Right of children to free and compulsory education) Act with its egalitarian provisions has completed one year of successful implementation. Successful because 15 states have notified it. On the first anniversary of the enactment of the Act, an upbeat HRD Minister, Kapil Sibal, talked of achieving ‘education for all’ by 2015. On the other hand, several provisions in the act are proving to be impractical to implement, even to the well-meaning educationists. They also pose a basic question on the concept of ‘education for all’ per se. Despite self- congratulatory claims of its success, a few moot questions remain unanswered. For example, the government directs inclusion of 25 per cent students from economically weaker sections in private unaided schools. But, it fails to set up reasonable terms of compensation to the schools struggling for survival. Particularly the neighbourhood ‘budget schools’ which have served the purpose well by providing meaningful education at low cost. Secondly, no method is prescribed for selection for admission. Selection by lottery is as ridiculous and unfair a method as is interviewing the child. Also, the curriculum does not take into account children’s experiences and needs, especially of those who come from the weaker sections. Rote-driven, textbook-centred teaching and lack of support as well as motivation among teachers to address the specific situation of diverse kinds of children is another challenge. The moot question is: will these children be able to remain in mainstream education and how? While the Act emphasises the need for child-friendly approaches and higher parental representation in school management, very little is provided for the need to have teacher-friendly and teacher-initiated processes in the school system. The academic administration remains heavily top-down and vertically organized, leaving very little scope for teacher participation or initiative. The Act also disallows any child to be held back or for conducting standardised examinations until completion of elementary education. It certainly offers a trauma-free educational experience, at the same time it puts a child who comes with the disadvantage of illiterate parents at greater risk. Lack of assessment of learning achievements makes it impossible for him to be identified for remedial assistance. Before aiming for a hasty implementation of the act, the planners should have sought insightful remedies for several psycho-social and pedagogic issues that emerge from integrating students from low-income families with those of the privileged class; especially in our society, where class and caste boundaries are indelibly etched. How far the Prime Minister’s Mohali initiative to have talks with Pakistan Prime Minister Yousuf Raza Gilani will take the two countries along the peace track remains to be seen, but statesmen who pursue a vision that is in the larger interest of the people can ultimately succeed and prove the usual skeptics wrong. The Mohali initiative itself does not wash away a 64-year history of wars, tensions, distrust and failed efforts at normalisation of relations, but Dr Manmohan Singh apparently thought that neither country loses anything if the two Prime Ministers met on the neutral territory of cricket which always arouses nicer emotions among the people of the two countries. While the “balle-balle” mood had filled the air on the stands, inside in one of the ante-chambers of the pavilion the two Prime Ministers met one-to-one for over an hour before dinner to discuss how best to resume the Indo-Pak dialogue that had been rudely interrupted by grisly events of 26/11. The details of what the two Prime Ministers discussed have yet to filter down, but they shared the thought that the welfare of the two people lay in the resumption of serious attempts to sort out the differences that have kept the two nations apart all these years. Why not take sporting ties beyond cricket was one of the minor points the two leaders discussed. Turning distrust into mutual trust, it was thought, would help in resolving the bigger issues that have been awaiting resolution. Also, nibbling at the disputes with positive mindsets was considered important. Dr Manmohan Singh is reported to have referred to the developments in West Asia which are bound to have an impact on both India and Pakistan, mainly because a large number of the people from the two countries are working in West Asia, and their jobs are at stake. He is also believed to have pointed out that the West Asian developments could lead to a rise in oil prices and this will have serious impact on the economy of the two countries. That the destiny of the people on both sides of its divide was tied together in the emerging world was the common theme that marked the spirit of the conversation aimed at the resumption of the dialogue. The Vice-President of India and the Speaker — Mr Hamid Ansari and Ms Meira Kumar - have already written to their counterparts to send a parliamentary delegation to India. This will be reciprocated by our MPs’ visit to Pakistan. The idea is to involve all political streams into the effort and widen the constituency of peace. Trade talks are in the offing, some relaxation of visa restriction is on the card as discussed by the Home Secretaries who are going to have a hotline now to prevent minor issues from going out of hand. The Foreign Secretaries of the two countries who have been meeting at Thimphu will now get greater political backing to carry on with their effort so that the resolution of the sticky issues like Siachen, Sir Creek, terrorism and Kashmir and Wullar barrage can be sorted out. Bonhomie and some Urdu couplets always prevail when Indians and Pakistanis sit together for dinner. It was left to an MQM leader who began reciting Urdu couplets only to evoke equally warm sentiments as a side dish. That Mrs Sonia Gandhi was also at Mohali was meant to convey to the visitors and the people at home that the Congress party stood by the Prime Minister in his bid to resume the dialogue. While the people in India have responded enthusiastically, the BJP and experts, as they often do, have questioned the wisdom of the Mohali initiative. Their doubts are on familiar lines: that Pakistan has not lived up to its word given back in January 2004 that it will take steps to stop terrorism; that it is not certain that the Pakistan Army is on board in the attempt to resume dialogue with India. It is true that India’s policy on Pakistan is ultimately decided by the Pakistan Army top brass, but it can be presumed that Prime Minister Gilani could not have flown to Manali without having a word with Gen Ashfaq Pervez Kiyani. Unlike Gen Pervez Musharraf, General Kiyani certainly keeps his own counsel. He is also known to have shared his thought that he always tended to look at his eastern borders for threat to Pakistan’s security. All these factors do not, however, obliterate the need for a dialogue. Indira Gandhi had offered the Treaty of Peace and Friendship to Gen Zia-ul-Haq in 1981. L K Advani should ask Jaswant Singh how far Atal Bihari Vajpayee went in his talks with General Musharraf, despite Kargil. Dr Manmohan Singh’s talks with President Musharraf were also proceeding well and they were converging on new formulations on Kashmir, like making the border irrelevant without changing the boundaries. The dialogue got interrupted because of President Musharraf got into trouble after the lawyers’ agitation leading to his exit from power. Not to resume the interrupted dialogue after a gap of two years since 26/11 is not a tenable proposition. The skeptics do not have an alternative plan either. The Vajpayee government had mobilised troops all along the Pakistan border after the December 13 attack on Parliament and kept them in combat readiness for two years, but later did not know what to do with them. The world has not been able to abolish wars, and conflicts among nations. But several wars and conflicts have been prevented by leaders with a vision. They did make history of a different kind in their own quiet ways. In our life-time when the world was caught in wars, hot and cold, the nations have had serious talks and kept direct channels of communication open with the adversary. The Americans and the Vietnamese went on meeting at Hotel Majestic in Paris while their forces were fighting in Vietnam. The Chinese and the Americans held endless rounds of discussions in Warsaw. The Cold War was most intense when the US and the Soviet Union went on talking to each other in Geneva for hundreds of rounds. The plea that earlier attempts at peace with Pakistan have failed is not a valid argument against making fresh efforts to mend relations with it. The argument that talking to Pakistan is a sign of weakness on the part of the Indian leadership is equally facile. Only strong and confidant nations can extend a hand of friendship without feeling embarrassed. And ask those coming from Pakistan how envious they feel of India’s strength. That India and Pakistan possess nuclear weapons has made such arguments irrelevant and specious. There is no choice for the two countries, but to go on talking to each other until they are able to settle for durable peace, irrespective of the issues involved. Patience is the name of the game. The writer is a senior journalist and now Member of Parliament. I need to quote some big names before I express my opinion. I don’t wish to be lynched. I have nothing to munch on from yesterday’s leftover. While small groups are huddled together in office, wringing out pleasures from the already dried-out ‘drops’ and ‘catches’, I look away with the pretension of a cricket illiterate. Aware of my ‘odd fish out’ status, I dived deep into the etymology of the C word, and could get no further than this: ‘An outdoor game played between two teams. Players try to score points, called runs, by hitting a ball with a wooden bat.’ For my limited understanding, wielding a willow means just wielding a willow. It cannot gain the significance of wielding a pen, or, wielding a sword! For me a game is just a game. Everybody is supposed to do some job or the other, these guys are doing theirs! I cannot attribute it significance of geopolitical proportions. I fail to understand why people over-masticate the word ‘C’. I have often wondered what sort of planetary chart people share at the time of a train accident or a plane crash? On Saturday, when 1.2 billion people were going crazy over a game of bat and ball, I stepped back to wonder, which star was missing from my horoscope to make me such an exception to the game! I saw people performing “shani pooja” on the TV. The fatality of stars governing movement of the ball did not move me. The euphoria left me cold. If it is some kind of a malaise, I am not apologetic about it. In a way, my self-congratulatory, self-aggrandising ignorance serves me rather well. Unlike an agonised lover, I do not get nightmares of Sachin being ‘run out’ at five. Or, Bhajji dropping a catch. I do not lose my pitch over an LBW. I do not fret, my nails remain intact with their nailpaint on, and the BP stable. At least, I will not die of a heart attack over a run, nor will I crash into a tree. For me, life remains normal. In my opinion, playing a game is as much an important job as is taking care of the sick, or, filing a news-report. No more, no less. In art galleries and concerts I come across various shades of wannabes. When it comes to C-lovers, wannabes acquire a monochromatic shade. Like a thumri gayak, they keep on going over and over to the same refrain: “Yaar, kya chhakka lagaya.” And, keeping in mind the lack of grace in taking defeat in a game, as was shown in 2007 outside Dhoni’s house, one shudders at what arrogance of victory could do! In 1997, one third of the priceless historic collections of the museum used by former Viceroys and Presidents of India (already termite ridden, damp and in a state of neglect) at the Rashtrapati Bhavan estate were looted. The museum was last opened in 1992, and was closed a week after for security concerns. By the time the law enforcement finally traced the culprit - a poor rag-picker who had scaled the walls of the Presidential estate, he had already sold off 116 of the 131 stolen items. While a UK- based curator Timothy Wilcox was engaged to prepare a detailed list of recommendations for security and maintenance, the recovered 15 artefacts made their way back to the dank, ill-kept storage of the Rashtrapati Bhavan. There is no dearth of references to an all pervasive pandemic plunder of our heritage that is plagued with lack of awareness, initiative and apathy for our national treasure. The dramatic journey of the priceless 500 kg world's tallest bronze Buddha that began in 1861, from Sultanpur, Bihar to Birmingham, UK, still continues. While laying down railway tracks at Sultangunj, an English engineer, E B Harris, chanced upon giant legs of Buddha protruding out of the excavated land. He took only £200 to sell the priceless Buddha to a Midlands industrialist. The statue later landed in Birmingham City Museum, from where it never returned to its place of origin. Then, it was the Koh-i-noor and the Amaravati sculptures to the daring robbery of twenty seven 17th century bronzes from a government museum in Tamil Nadu in 2009. There is a staggering phenomenon of gross national pillage that defies comprehension for a nation that prides itself on its sanskriti. While the 'Birmingham Buddha' gave birth to the famous Birmingham Museum & Art Gallery in 1864, countless statues of the Buddha continue to be vandalized and smuggled across our borders to eager antique dealers and collectors. The November 1978 General Conference of United Nations Educational, Scientific and Cultural Organization (UNESCO), meeting in Paris, at its twentieth session adopted a revised Act for the Protection of Moveable Cultural Property in conjunction with the existing International Exchange of Cultural Property in 1976. UNESCO estimates nearly 50,000 objects have been smuggled out of India between 1979 and 1989 alone, with figures multiplying significantly in the last two decades. Out of the reported 11,000 thefts in the same period, a dismal 10-15 objects were eventually traced and recovered. Unfortunately, UNESCO Conventions have no enforcement capability, though endorsed by 120 countries. Interpol database lists 40,000 stolen hi-value burglaries and an added 1.5 million artefacts in stolen objects. Most reputable auction houses check the Art Loss Register (the world's largest private database of lost art) for authenticity and questionable titles before bringing art and antiquities under the gavel. The prowess of Art Loss Register is demonstrated by the recovery of $320 million worth of stolen works of art. Pegged upwards of a whopping $6 billion annually, the illegal trafficking in Art and Cultural Properties is third only to the narcotics and arms trade. Statues of gods and goddesses, antiquities, works of art and heritage fixtures are regularly smuggled abroad as replicas from villages in Rajasthan, Gujarat, Orissa, Madhya Pradesh, Uttaranchal, Maharashtra, Kerala, Tamil Nadu and other states. If the percentage of theft and plunder were but a fraction of the treasures we hold in our museums and private collections, one cannot even begin to fathom an insurance premium on the billions in cultural assets that India, as a civilisation holds within its repositories and heritage sites. This is still an enviable position to be in, compared to most African countries that have lost over 95% of their antiquities or Columbia which loses over 10,000 objects each year with a recovery rate of under 1% in the last five decades, according to UNESCO. Increasing number of museums, foundations, private and corporate collectors are enhancing a growing appreciation for cultural heritage, leading to an increased concern in dangers of easy access, inadequate protection, the risks inherent in transport, clandestine excavation, daring and casual thefts, illicit traffic, inadvertent acts of vandalism and illegal colonial acquisition often referred to as "elginism" coined after the famous Elgin marbles removed from the Parthenon in Athens some 200 years ago. As early as 1832 when Greece gained independence from Turkey, it requested the return of its cultural property from the British Museum as a matter of national priority. The increase in market value of cultural items has escalated risks and in-turn the cost of comprehensive insurance in countries like India. Inversely, where the Ministry of Culture's total budget for museums is currently under Rs.135 crore for this fiscal year, inclusive of payroll and overheads; both the financial and human resources remain inadequate. There is no dedicated system of governmental guarantees and rapid mobilization of recovery of lost, stolen or damaged artefacts in place to deal with specialised crimes and sometimes delicate handling of available clues and content in question. The FBI has a dedicated Art Crime Team with trained cultural property investigation special agents supported by Special Trial Attorneys for art crimes with a track record of recovering $135 million in stolen art objects. A pre- requisite for tracking stolen art objects is to create a national database of standardised systematic inventory, condition report and cataloguing of cultural property. India could also benefit from publishing a comprehensive catalogue of lost and stolen items dating back to documented colonial times and post-independence, akin to the 1988 publication from Nepal on Stolen Images by late L.S. Bangdel. The Indian Antiquities and Art Treasures Act- 1972, when tabled was flawed at many levels requiring enforcement agencies to take permission from the 28 or so authorised designated officers of the Archaeological Survey of India (ASI) before inspection and seizure of antiquities. Arguably, the Act severely dampened legitimate domestic trade of art and antiquities and created cumbersome procedures for registration of objects over 75 years that kept genuine collectors and sellers away fearing prosecution. It prevented new scholarship, deterred collections from developing and spurred underground trade. The two international auction houses Sotheby's (1992) and Bowring's (2004) who sought to revive domestic antiquities market, were literally choked by the twin forces of the CBI and ASI forcing them to shut their operations and resort to even more sluggish court systems for reprieve. 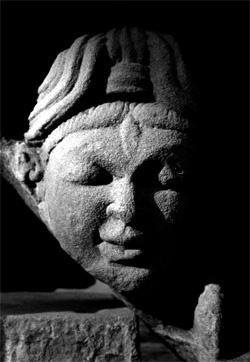 With nearly 50% of our museums (including the National Museum) remaining headless without qualified leadership, one wonders who will lead the charge to re-draft some of these much needed provisions, amendments and measures of efficacy, that could position India with its vast antiquities treasure trove, as a vanguard nation with foresight and vision. Movable Cultural Property is sometimes confronted with an ethical dilemma that seldom features in discussions or legal draft frameworks for amendments. It is associated with taking a ceremonial, religious or otherwise significant objects of reverence from its existing context and bringing it within the confines of a museum to display, void of its spiritual or ambient premise. In a land steeped with rich living traditions and omniscient divinity, this becomes particularly significant. There exists no protocol while dealing with such objects that prevents a government institution from such acquisition, storage, transportation and display, let alone a framework for meting out compensatory damages to those impacted by an inadvertent or deliberate act. It is time a comprehensive Art Policy is put in place within an over-arching 2020 Master Plan for our museums and cultural heritage. A strategic thrust that addresses the current and growing needs of curbing cultural theft, both in the tangible and intangible realms of a 5000 year civilization in continuum that defines India, is a necessity. The talent and expertise of professionals passionate about this initiative needs to be harnessed with astute political will that rises above debatable differences towards generating a stellar edifice for our collective future. If the British pilfered our antiquities during our colonised status, modern heritage too is not safe in the independent India. The US based auction house Wright , that went ahead with the auction of 24 lots of furniture attributed to Le Corbusier and Pierre Jeanneret on March 31, despite last minute hue and cry made by the UT administration, claimed, the Indian Government had organised the sale of this furniture. While refusing to disclose the identity of their consigners, the director of the auction house declared, all the items for auction had been sourced from various government departments in Chandigarh, including Punjab and Haryana High Court, administrative buildings, Chandigarh College of Architecture and PGI. Surprisingly, there is no procedure in place in the UT for declaring these articles as heritage property. Hence, it never notified any article belonging to Le Corbusier or Jeanneret as 'heritage'. Many auctioned articles, like models, plans, moulds, tapestries, furniture etc were auctioned by the government departments about six times in the past. In 2010, a bidder had set a record by paying $ 24000 for a cast iron manhole cover from the city at French auction house Artcurial in Paris. The Indian Treasure Trove Act, last amended in 1949, is obsolete beyond belief. Any object worth more than Rs.10 and found hidden in the soil is designated as a treasure. A person who dutifully reports the find is often made to go through a cumbersome procedure. The Antiquities and Art Treasures Act mandates that antiquities in private possession must be registered and the person trading in them must get a licence. On the other hand, The Portable Antiquities Scheme, implemented in England and Wales, is one of the biggest success stories of recent times. The scheme encourages local communities to voluntarily report and register the discovery of artefacts with the help of experts. The resulting data base is placed in the public domain. So far it has documented 400,000 archaeological finds, including the remarkable eighth-century Staffordshire Hoard. The functional features of such schemes can be modified to suit Indian conditions. n In the Briefly column on Page 7 of the April 4 issue the first brief starts with "For expedite settlement of cases…." It should instead have been "For expeditious settlement of cases…." n Union Minister Jairam Ramesh's name has been mis-spelt as JaiRam both in the text and headline (Page 10, April 4). n In the headline "Decide case expeditiously, SC asks High Court" (Page 7, April 3) the word used should have been 'tells' instead of 'asks'. n The headline "Food production falling below population growth" (Page 21, April 3) is confusing. It could instead have been "Slower growth of grain output than population".